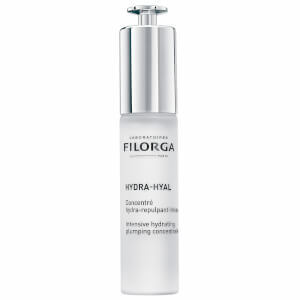 Improve the appearance of your skin with Filorga Meso-Mask, an anti-wrinkle lightening face mask that works to enhance skin's natural radiance whilst targeting signs of ageing and fatigue. The delicate cream texture delivers a veil of moisture onto skin; its dose of Rhamnose Polysaccharide relieves irritation, evens tone and brightens, and NCTF® (an anti-ageing complex used in non-surgical procedures) improves skin density for a younger-looking, more resilient complexion. Effectively treating wrinkles and signs of tiredness, the creamy mask will leave skin with a plumper, smoother appearance that looks fresh and radiant. 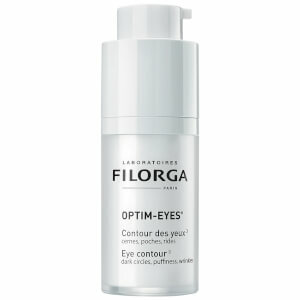 Apply generously to the face, eye contour, neck and décolleté. Leave for 15 to 30 minutes, then remove using damp cotton wool. Aqua, Glycerin, Paraffinum Liquidum (Mineral Oil), Cetearyl Alcohol, Sorbitol, Butylene Glycol, C20-22 Alkyl Phosphate, Pentaerythrityl Distearate, Pentylene Glycol, CI 77891 (Titanium Dioxide), C20-22 Alcohols, Octyldodecanol, Phenoxyethanol, Cera Alba (Beeswax), Hydrolyzed Elastin, Soluble Collagen, Hydrogenated Polydecene, Parfum, Sucrose Palmitate, Xanthan Gum, Propylene Glycol, Hydroxystearic Acid, Sodium Hydroxide, Biosaccharide Gum-2, Allantoin, Glyceryl Linoleate, Prunus Amygdalus Dulcis (Sweet Almond) Oil, Sodium Chloride, Methylisothiazolinone, Glucose, Sodium Hyaluronate, Citric Acid, Iodopropynyl Butylcarbamate, Potassium Chloride, Potassium Sorbate, Calcium Chloride, Magnesium Sulfate, Glutamine, Sodium Phosphate, Ascorbic Acid, Sodium Acetate, Tocopherol, Lysine Hcl, Arginine, Alanine, Histidine, Valine, Leucine, Threonine, Isoleucine, Tryptophan, Phenylalanine, Tyrosine, Glycine, Polysorbate 80, Serine, Cystine, Cyanocobalamin, Glutathione, Asparagine, Aspartic Acid, Ornithine, Glutamic Acid, Nicotinamide Adenine Dinucleotide, Proline, Aminobutyric Acid, Methionine, Taurine, Hydroxyproline, Glucosamine, Coenzyme A, Thiamine Diphosphate, Retinyl Acetate, Inositol, Niacin, Niacinamide, Pyridoxine, Biotin, Calcium Pantothenate, Folic Acid, Riboflavin, Tocopheryl Phosphate. 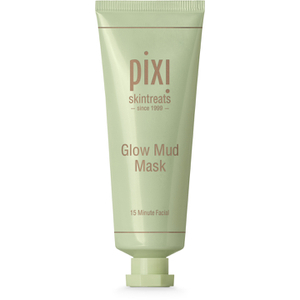 This is one of the best masks I've ever tried. 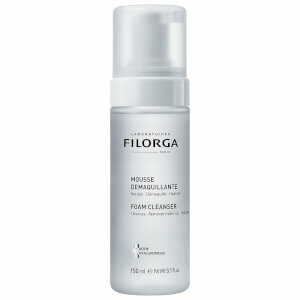 Its creamy texture makes it easy to apply on face. After removal, it leaves my face soft and brightened. I will definitely order again. .